"One day the sun will set on my time here, and will rise with you as the new King." Surprise, movie fans! Disney has decided to drop the first official teaser trailer on this Thanksgiving day for Jon Favreau's new "live-action" take on The Lion King, based on the beloved 1994 animated film. We say live-action, though it's better to describe this as a "photorealistic CGI remake", similar to what Favreau did with Disney's The Jungle Book a few years ago. This is only our first look at any footage, but of course Disney makes it look very good, showing us the famous opening scene. The film stars the voices of Donald Glover as Simba, Beyoncé as Nala, James Earl Jones as Mufasa, Chiwetel Ejiofor as Scar, Billy Eichner as Timon, Seth Rogen as Pumbaa, John Kani as Rafiki, John Oliver as Zazu, Keegan-Michael Key as Kamari, Florence Kasumba as Shenzi, and Alfre Woodard as Sarabi. As expected, this looks fantastic and will probably make a ton of movie because Favreau knows how to perfectly craft these fresh CGI Disney updates. 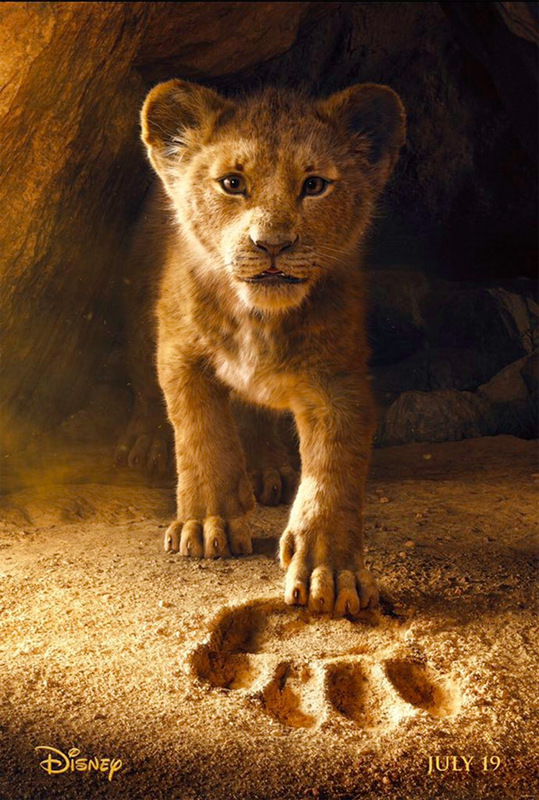 A photorealistic CGI remake of Disney's 1994 animated film, about a lion cub named Simba who runs away into the Savannah after his evil uncle Scar kills his father and takes over the lion kingdom. On the photorealistic CGI elements, VFX supervisor Rob Legato explains: "I consider this just a movie, and this happened to be the best way to make it. We [made] it comfortable for Jon Favreau to come in and be able to direct as if it was a live-action film." Disney's The Lion King is directed by actor-producer-filmmaker Jon Favreau, director of the films Made, Elf, Zathura: A Space Adventure, Iron Man 1 & 2, Cowboys & Aliens, Chef, and The Jungle Book previously. The screenplay is written by Jeff Nathanson, from a story by Brenda Chapman. Based on the original 1994 film written by Irene Mecchi, Jonathan Roberts, & Linda Woolverton. Featuring a new score by Hans Zimmer, and one new original song by Elton John and Tim Rice. Disney will release Favreau's The Lion King in theaters everywhere starting July 19th, 2019 next summer. Thoughts?